I have a feeling that Mika the Shiba Inu always looks like she has good news to share. 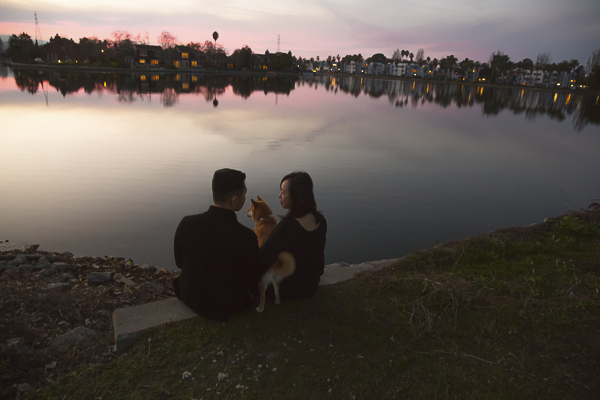 However, this was especially true the day she was photographed by Amy Hung Films & Photography. 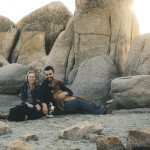 From Amy: “I love when my clients bring their dogs to the photo session. I know that to every family, their dogs are like their children. I have a dog myself, and he is basically my everything! Mika is the name of Evelyn and Donald’s dog. She was very energetic when I was there taking photos. You can see more of this maternity session on Amy’s blog. Follow Amy Hung Films on Instagram. 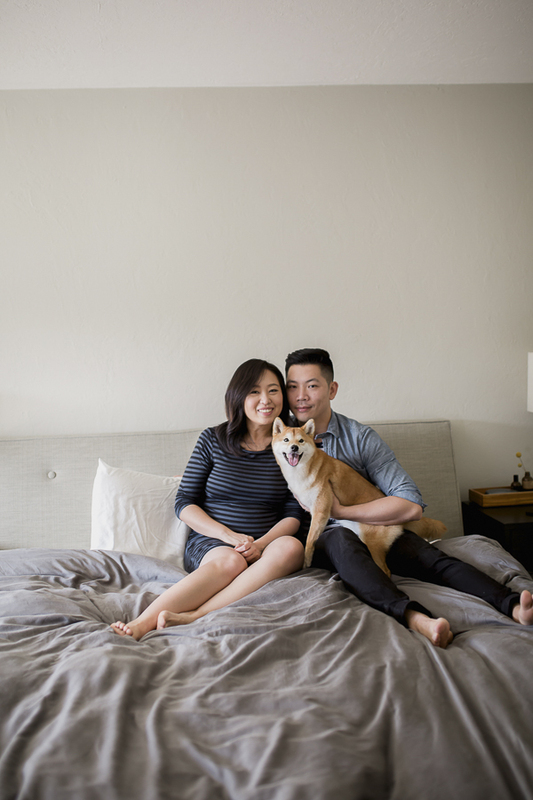 About Amy Hung Films & Photography: Based in San Francisco, California, Amy specializes in wedding videography, branding videos, and portrait photography. 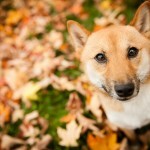 Shiba Inus are so pretty! These are gorgeous photos. My aunt and uncle used to have two of them, unfortunately they both passed within the past year or two. But they were great dogs! 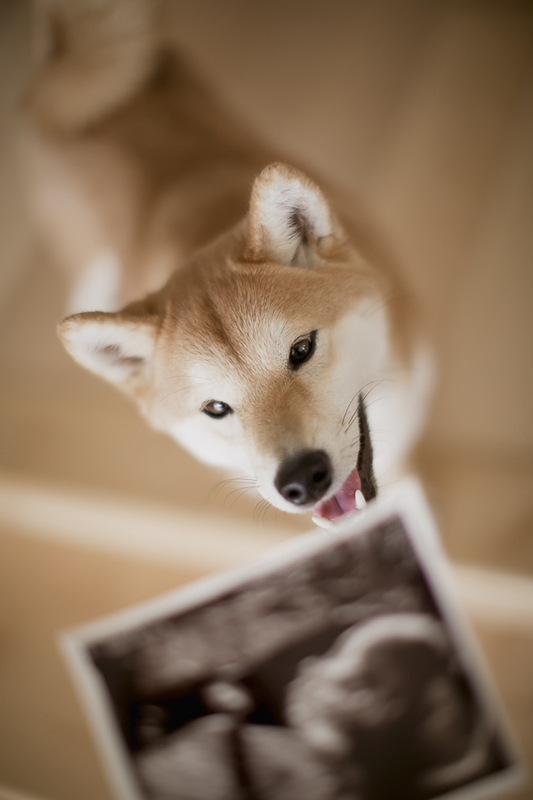 Aww what a beautiful Shiba Inu! And these photos are so precious! Love it and congrats to the growing family! Mika looks like such a happy, joyful dog! What a beautiful smile. 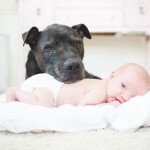 I have a feeling Mika will be such a good friend to her new little brother. Aww this is very sweet. Family of 3 will now be 4. I love the way the photos capture the love among each other and pride of being a new big sister soon! Congrats to them. 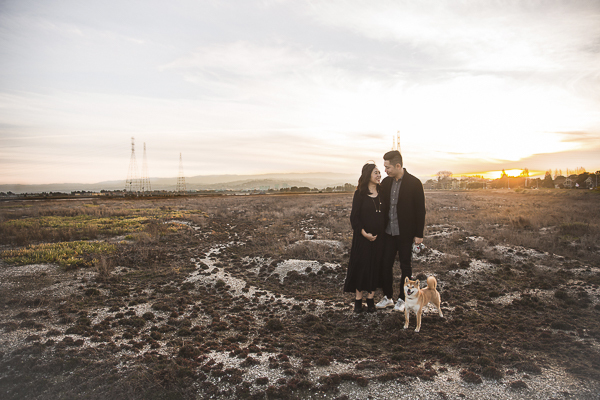 What a great maternity photo session. Mika has such a gorgeous smile! Mika has a lovely smile. 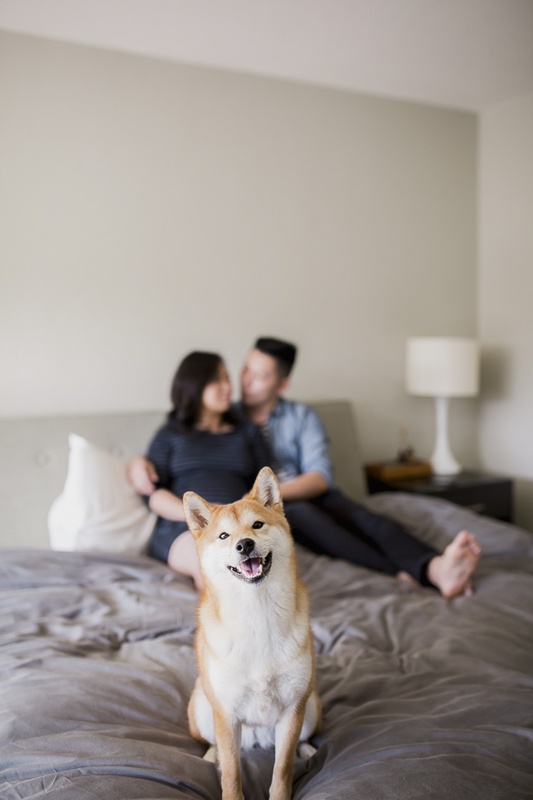 The picture of her on the bed with her people in the background is my favorite. This was so adorable! Lovely photos as well! Such a beautiful family photos! Mika brings even more positive spirit to the photos. 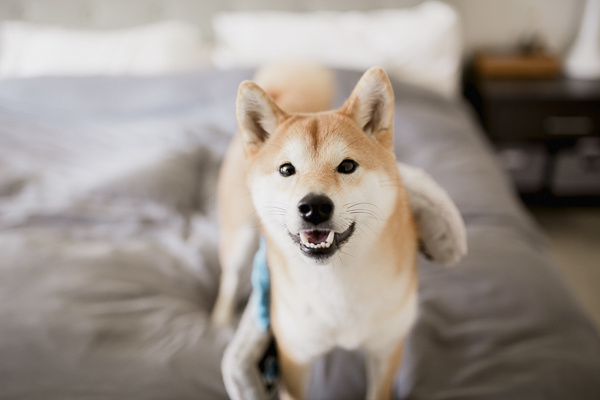 Adorable Shiba. She does have a very bright and eager face! I love so many shots in this series, but the one where she’s way out front and mom and dad in the back. It’s like she’s saying hey hey we have news! !